It’s time for another Cute Outfit Ideas of the Week! We’re scooting along at #23. Today’s edition is dedicated to the subject of DIY Fashion, a topic I am learning to love. My 16 year old daughter received a sewing machine for Christmas this year and she’s made some really cute pillows. (The model is cute as well.) Next on her list of sewing projects is some DIY Fashion. With summer coming, she wants to add some special touches to her own shorts and t-shirts. You can create some really cute outfit ideas by adding your own touch to something! We were both very inspired as we were watching an episode of Ellen last week when Eva Mendes said she likes to shop at The Salvation Army and Goodwill stores. She scours the racks and finds items she can take home and add her own special touch to. So, on Saturday we headed to, you guessed it, Goodwill and did some shopping. While I didn’t find anything quite yet to add my special touch to, I did find some killer dresses! Such as a brand new Philosophy dress with a beaded collar for $10. Yes, $10. Anyway, we plan on making this a monthly thing and heading into our local thrift stores to see what we can find and playing around with some DIY Fashion Ideas. While we decide what we want to do, here are some inspirations for both you and us. 2. 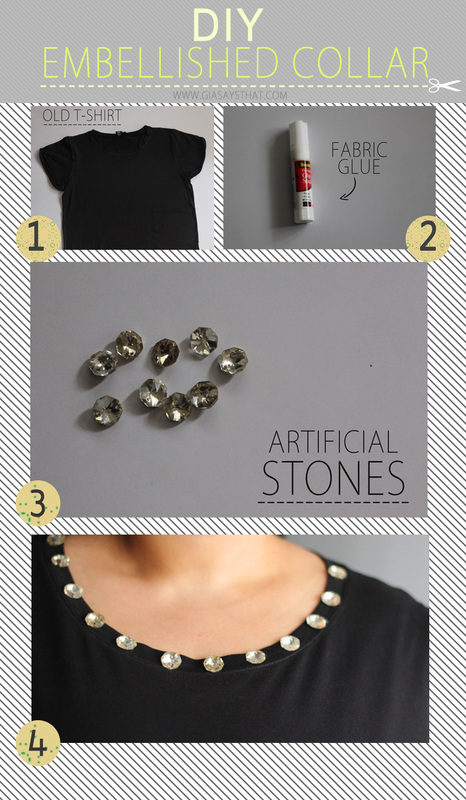 T-Shirt Embellished Collar – I love this! What a great way to give a t-shirt some pizzazz! Full and fabulous instructions here. 3. T-Shirt ReFashion – I love this too! Take a plain t-shirt and re-fashion it into something gorgeous and completely unique to you. See how Sweet Verbena did it with her great tutorial here. 4. 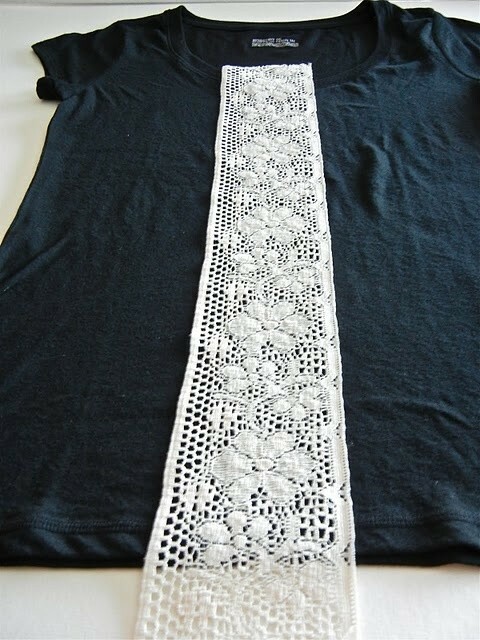 Twisted Headband from T-Shirt – Do you have an old t-shirt you don’t wear any longer but you love the pattern? No worries! Turn it into a twisted head wrap like Honeybee Vintage! Full tutorial here. 5. 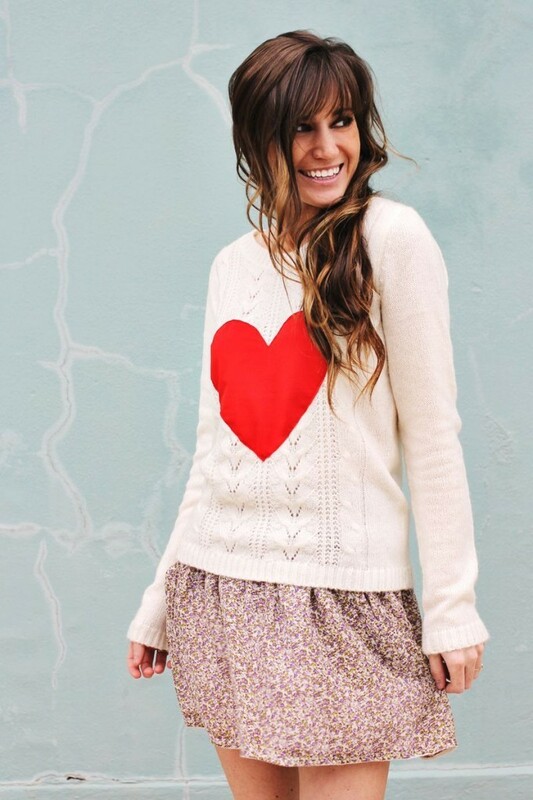 Heart Sweater – When I was browsing for Valentine’s fashion ideas, one trend I saw everywhere both this year and last year were heart sweaters. And my dear friends, they were pricey. So why not make your own right? Here’s how. Do you have any favorite DIY Fashion Ideas? Please share them with a link or just a shout out in the comment section below! Thank you. See you next week with more Cute Outfit Ideas.